The Ritz Costume Shop. Courtesy Photo. It’s October, and chances are, you’re about to become a witch. That’s the No. 1 Halloween costume for 2017. A close second: Batman characters (including Catwoman and Harley Quinn for women) and the classic: an animal, like a cat or dog. Halloween spending is predicted to hit a record this year, according to the National Retail Federation. The federation expects spending to reach $9.1 billion, up from $8.4 billion. That’s about $86 per person. In fact, 179 million Americans report they are going to celebrate Halloween this year. Nearly half (47 percent) of shoppers plan on looking for Halloween goods and costumes at discount stores, while slightly less (38 percent) plan on shopping in a specialty store. 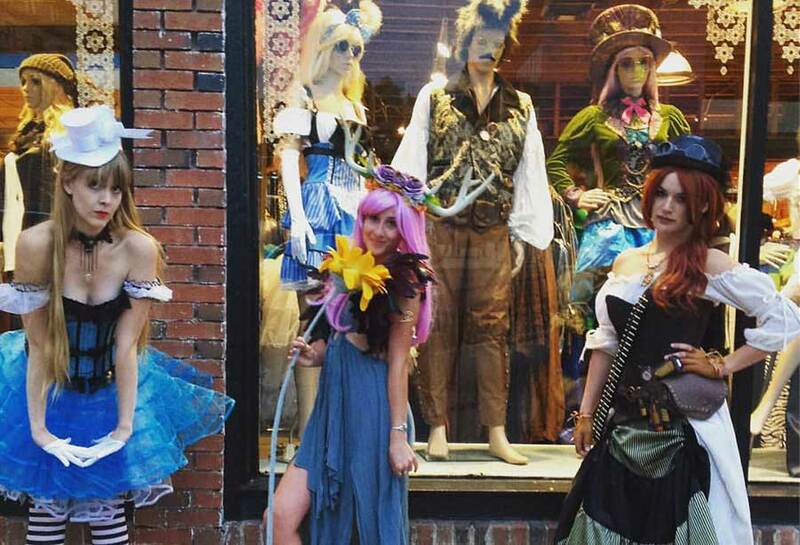 If you’re looking for a specialty Halloween store in Boulder, there are two main ones: Theatrical Costumes Etc. and The Ritz. 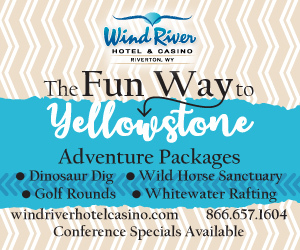 Both have been around for a long time, are locally owned and have solid reputations among the locals. 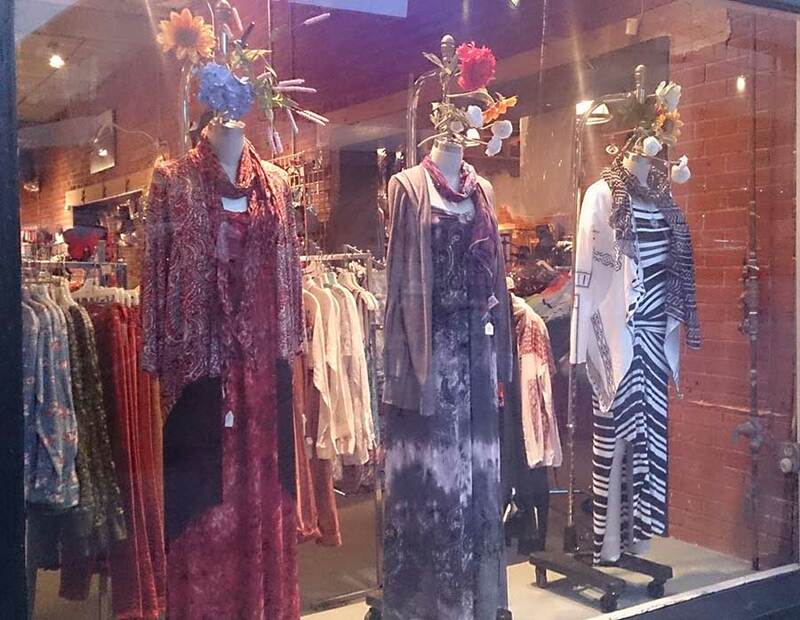 Both are also open year-round and carry all kinds of other clothes, too, including hip and trendy, boutique-style apparel, shoes, accessories, makeup and more. Here’s a closer look at Boulder’s two main costume shops. Theatrical Costumes Etc. Courtesy Photo. 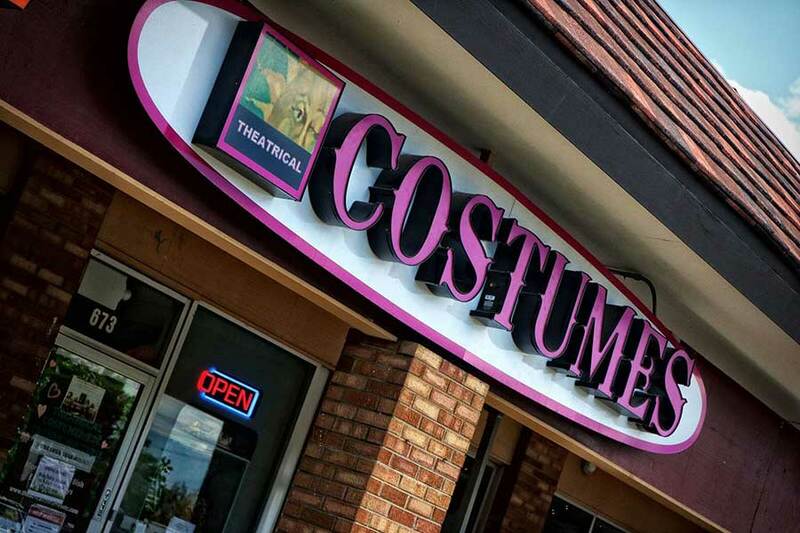 Theatrical Costumes Etc., at 673 30th St., is located in the Williams Village Shopping Center near some of the University of Colorado dorms. Naturally, it’s popular among college students, but it attracts everyone, especially this time of year. Debra Ordway founded Theatrical Costumes Etc. in 2005, but she began sewing and renting out costumes in the early ‘90s. 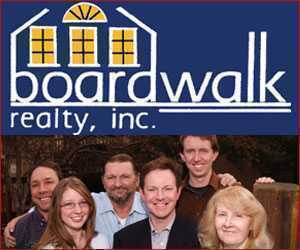 Since opening the shop more than a decade ago, it has moved between several locations. This shop looks tiny from the outside, nestled in the corner of an unsuspecting strip mall. But don’t be fooled. When you walk in, a medium-sized room greets you with walls of floor-to-ceiling accessories, including the main selection of masks — which is impressive in its own right. You’ll find one of the state’s most amazing walls of masks, from cheap and simple to extreme, elaborate, hand-painted and expensive. But by and large, most of the costumes here are surprisingly inexpensive. You can get beautiful masks for less than $10. 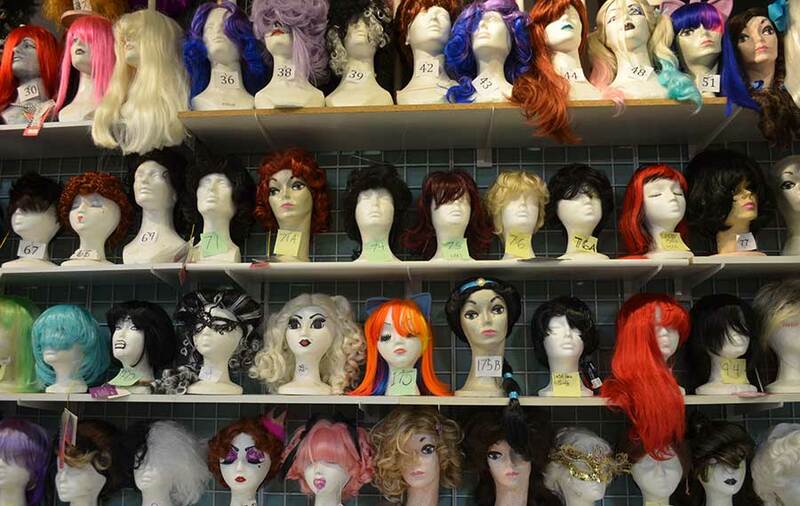 No shortage of wigs to choose from on The Wig Wall at Theatrical Costumes Etc. Photo by Tyler Percy. The front room is just the beginning. It could be easy to miss the hallway that leads to the back room, a massive space with just about everything else you could want or ask for. The shop carries more than 60,000 items and about 1,300 different types of costumes. Beyond masks, there are corsets, makeup, wigs, hats, steampunk clothes, mustaches, feathers, scary to funny, for all ages. You can even find rare items from Europe. Can’t locate what you’re looking for? The staff here carries radios and can help you piece together your vision. If you can’t get into the store, you can place an order online, too (although online stock is limited). Get free shipping on orders of $100 or more. You can also watch makeup instructional videos online for inspiration. The shop gets in new things every day, so you never know what you’re going to find. It’s no surprise that Theatrical Costumes Etc. has won many awards, including being named the 2016 Boulder County Gold’s first place for the Best Costume Store. The downside: No costume rentals, all sales are final and there are no refunds or returns. So make sure you love what you buy. At least the prices aren’t super high. The Ritz Costume Shop front window. COurtesy Photo. 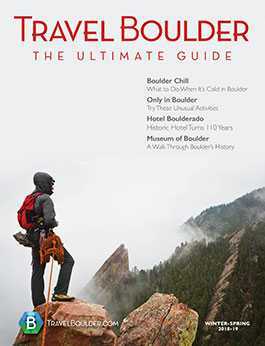 The Ritz is located in downtown Boulder, at 959 Walnut St. across from the St. Julien Hotel & Spa, making it especially convenient for visitors. The Ritz has inspiring, large, front windows that always feature new costumes. When you first walk in, you’ll see racks of hilarious greeting cards; the Ritz is always a good place to find quirky gifts. The large store is set up in a loop, with the costume rentals in the very back room. Yes, the Ritz has a nice selection of elaborate, theatrical-quality costumes that you can rent for relatively cheap. 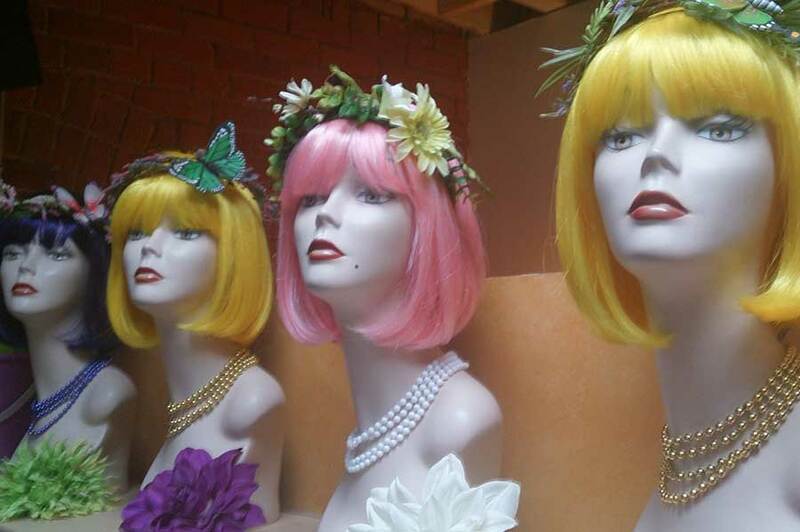 Throughout the shop, you’ll find bins of accessories, racks of hats and a wall of wigs. The stash here is extensive: gloves, tights, corsets, tutus, tiaras, theatrical makeup, capes, bustles, noses, custom vampire fangs, sunglasses and uniforms. As you walk through, you will find everything you need to be a pirate, gangster, fairy, superhero, pimp, police officer, Viking, hippie — the list goes on. The Ritz’s mainstream (i.e. non-costumed) selection is fun, in and of itself, and spans lines like Mavi jeans and Black Swan. The Ritz has also won a long list of awards. 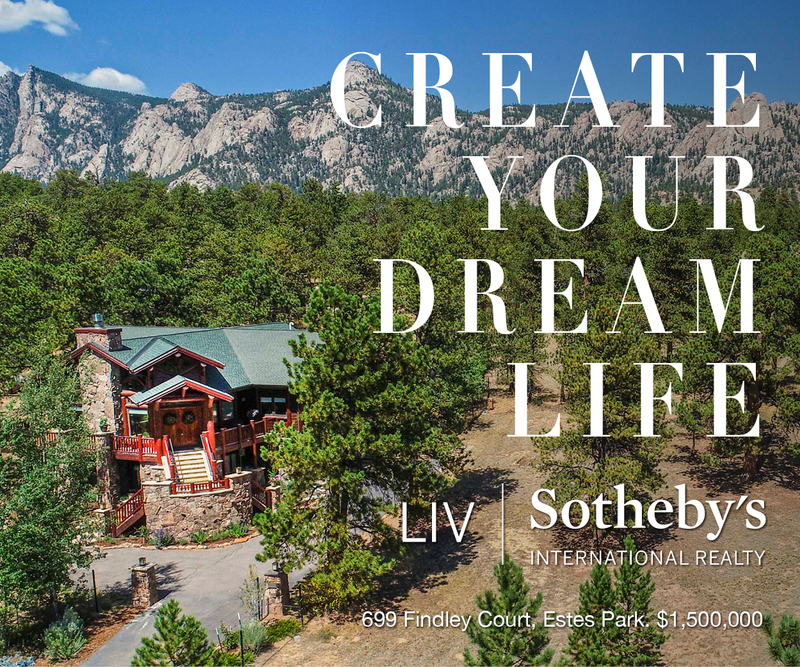 It was voted the Best of Boulder in 2015 in three different local rankings, for starters. The Ritz is Boulder’s oldest, year-round costume shop. It’s been around since 1977. All sales here are final, too, and the prices aren’t exactly cheap. This isn’t where to go to get a flimsy, run-of-the-mill, pre-packaged Halloween costume that will fall apart in five hours. The Ritz offers some real high-quality gear, stuff you can’t find anywhere else. It packs the drama you need to win the Halloween costume contest. But at that price point, if you’re not sure about something, ask a sales associate for advice or better yet, rent your costume. The Ritz Costume Shop Wigs. Courtesy Photo.